Greater Cincinnati's most accurate home listings to search, discover and share. 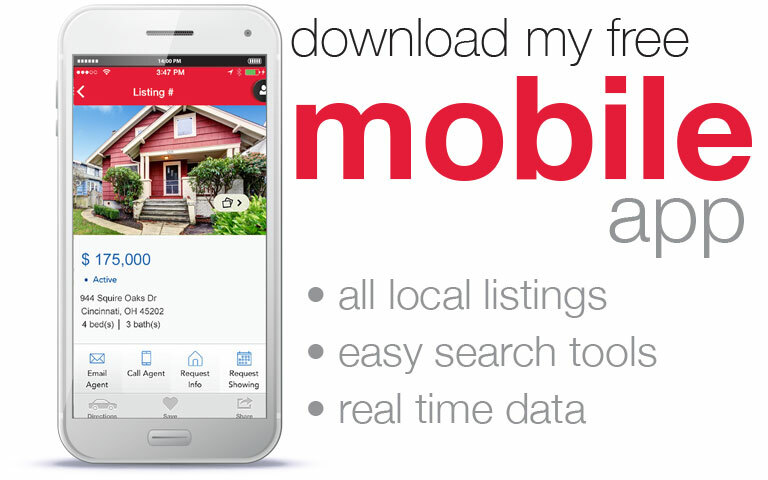 Quickly and easily search for your new home with my mobile app! Find full MLS listing details, photos, directions & a GPS locator to find homes near you. Property Scan scans the surrounding area for available properties. Large, high-res photos and full property descriptions. Draw your own search area with your finger or filter by city, zip or address. Featuring CommuteTime to help you search for a home in a designated commute timeframe.